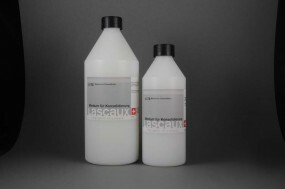 Lascaux® Medium for Consolidation | Lascaux-Products | Ready-made Colors | Kremer Pigments Inc. The Medium for Consolidation has excellent penetrating power due to its low viscosity. This allow for the safe and efficient consolidation of loose and chalking paint layers, even on water sensitive surfaces such as gilding or thin layers of distemper. These can be consolidated without swelling or spotting on wooden or textile supports. Chemical description Finely dispersed, aqueous dispersion of an acrylic copolymer. Customer evaluation for "Lascaux® Medium for Consolidation"